Driving home along scenic Hanlon Rd, you'll feel yourself start to relax. Pull into your driveway and just sigh. You've come home to a very private setting, yet convenient to shopping, schools, restaurants, highways, and commuter rail. Just 45 minutes from Boston and Providence. 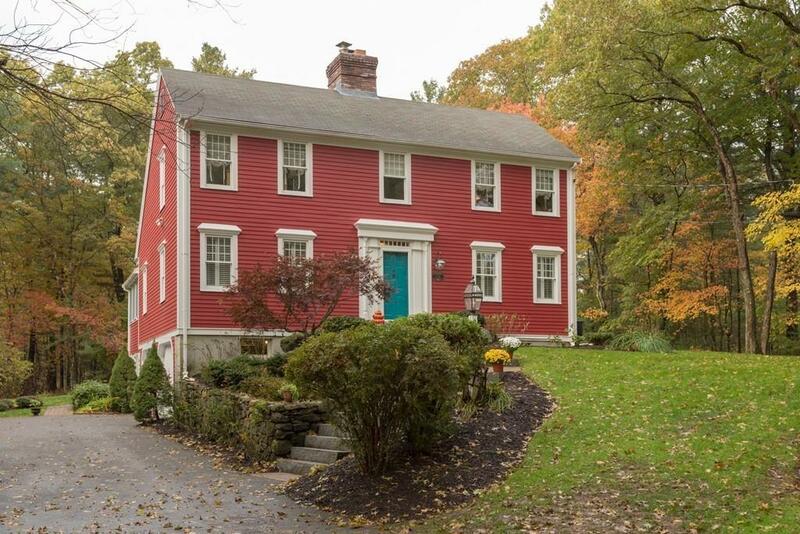 This custom built house has been lovingly maintained over the years. You'll enjoy entertaining with the living room and family room adjacent to the spacious kitchen and the light and airy dining room. There's plenty of space for the younger ones in the family to enjoy themselves in the downstairs playroom. The three season porch overlooks a large deck and huge backyard, perfect for all sorts of outdoor activity. The surrounding conservation land ensures privacy. There is also the possibility to sub-divide and sell a portion of the lot.